Definition - What does Revolved Sundial Pose mean? Revolved sundial pose is a relatively challenging yoga asana which requires a considerable amount of flexibility and, particularly, openness in the hips. It provides a powerful stretch for the hips and hamstrings, as well as helping to open and stretch the upper body. In this posture, the yogi sits with the left heel in toward the groin. The right leg hooks over the right shoulder or upper arm. The right arm extends to the side, inside the right leg so that it straightens, and the fingertips touch the ground. The outside of the right foot is clasped in the left hand, and the right leg straightens. The torso revolves away from the right leg and the chest is open. The posture is then repeated on the opposite side. 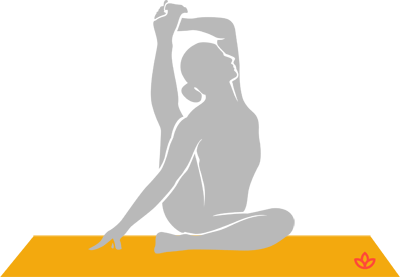 The Sanskrit name for revolved sundial pose is parivrtta surya yantrasana. It is important to ensure the whole body is properly warmed up before attempting this strong posture as it requires both strength and openness. To modify the posture, the lifted leg can remain bent. A strap can also be used around the foot to help reach it and extend the leg fully.